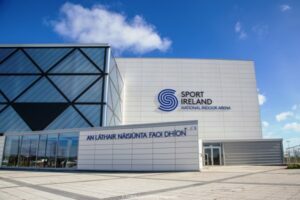 Saturday the 30th March 2019 will be a very busy day at the National Sports Campus, there are three events on, the Irish Open Swimming Championships in the National Aquatics Centre, the National Gymnastics Series in the National Indoor Arena (Athletics Track) and the Irish Open Judo Championships in the National Indoor Arena (Sports Hall). Sport Ireland advise an overflow car park will be in place so please leave ample time to arrive at the venue and follow the instructions of the car park attendants, do not park illegally or abandon cars in non-designated areas. If directed to the overflow car park, please allow a maximum of 5 minutes walk back to the Arena. 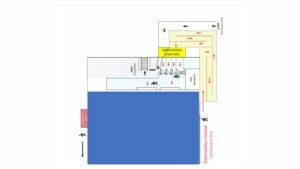 When approaching the Arena, please note a crowd control system will be in place for spectators attending the Gymnastics event, the Judo spectator & competitor queue will be clearly marked and advertised, so do not join the Gymnastics Ireland queue, a brief diagram is below to assist you when arriving. Parents and coaches are reminded that children & competing under age judoka must be supervised at all times and that the foyer of the National Indoor Arena will be extremely busy, so children or under age judoka cannot be left unsupervised. 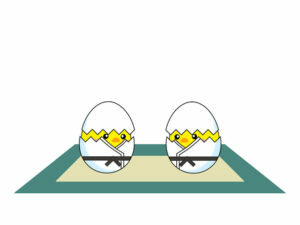 There is ample seating inside the Sports Hall for judo spectators and competitors, so please ensure the seating is used. Please follow the instructions given by Sport Ireland staff and Irish Judo Association Volunteers.